Ballenas Secondary School’s varsity football team made the trip to Coquitlam Saturday where they battled the AAA powerhouse Centennial Centars to the wire. The varsity Whalers’ defence will be a key component to this year’s team. “We lost 34-33 on the last play of the game… it was a shootout,” varsity co-head coach Jeremy Conn said Sunday. The Whalers, who trailed 20-13 at the half, drove the ball down field in the dying minutes of the fourth quarter and scored a touchdown. They could have tied the game with the convert, but chose to go for the two point convert and outright win, in which they came up empty. Either way, Conn confirms it felt very much like a win. The Centars for those following along at home are the No. 5 ranked AAA team in B.C. and come from the second largest school with a football program in the province. “Even though it was a loss it was like a win to us, for sure — the kids competed very well,” Conn said of the teams third of four exhibition games, adding “it was a shoot-out. We couldn’t stop their running game, and they couldn’t stop our passing game. Starting quarterback Liam O’Brien threw for 374 yards and three touchdown passes Saturday and also rushed for two TDs. “Liam was under pressure all day and was sacked several times while throwing two interceptions, but he was able to keep plugging away and made several great plays using his legs and his arms to help rally the team back,” said coach Conn. Leading the way on the receiving end was Dallas Towle with three catches for 133 yards. Dustin Rodriguez had six catches on the day for 107 yards and a TD, and he also ran for 54 yards on four carries. Sean Rae had five catches for 76 yards and two TDs, and Justin Holland had three grabs for 34 yards. Dennis Adams led the defence with four tackles and two sacks. 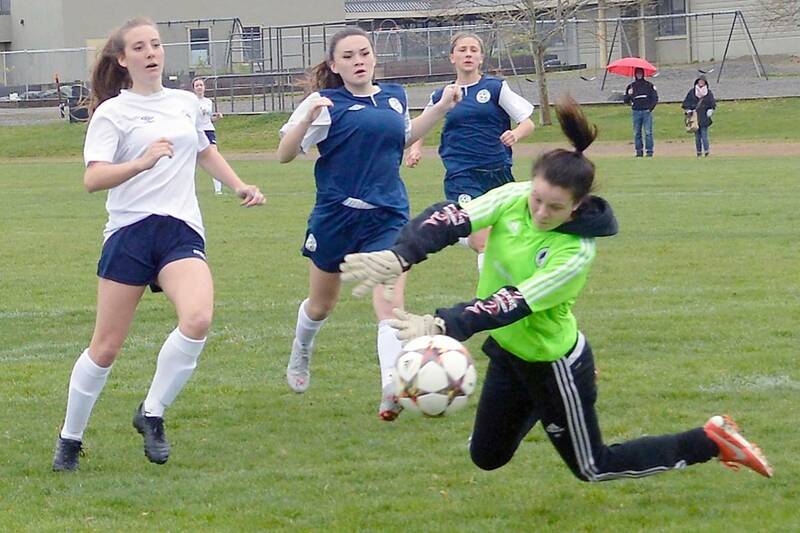 Both Ballenas teams are home Saturday for a double header against the AAA West Van Highlanders. The Jr.’s take to the field first for an exhibition game, with the seniors to follow in their final pre-season test.